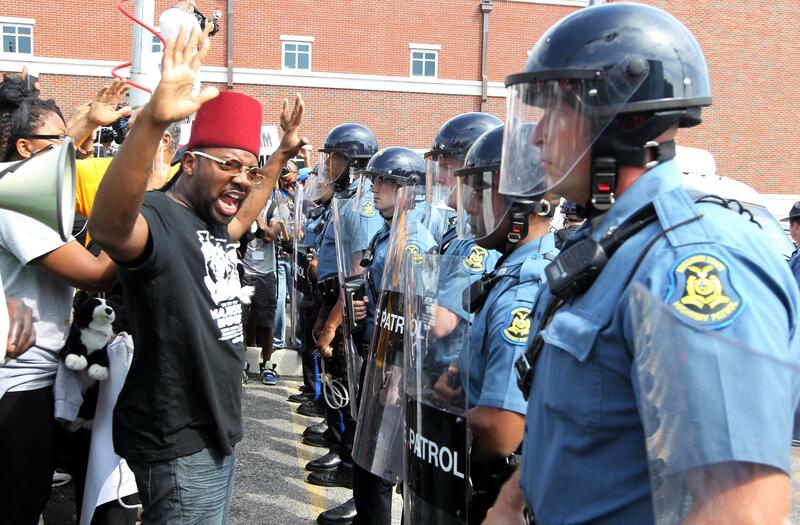 Protesters are met by a line of Missouri Highway Patrol members during a protest march in Ferguson on Aug. 11. 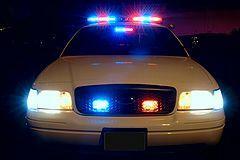 State and federal investigations are ongoing and authorities haven't said how long they'll take. 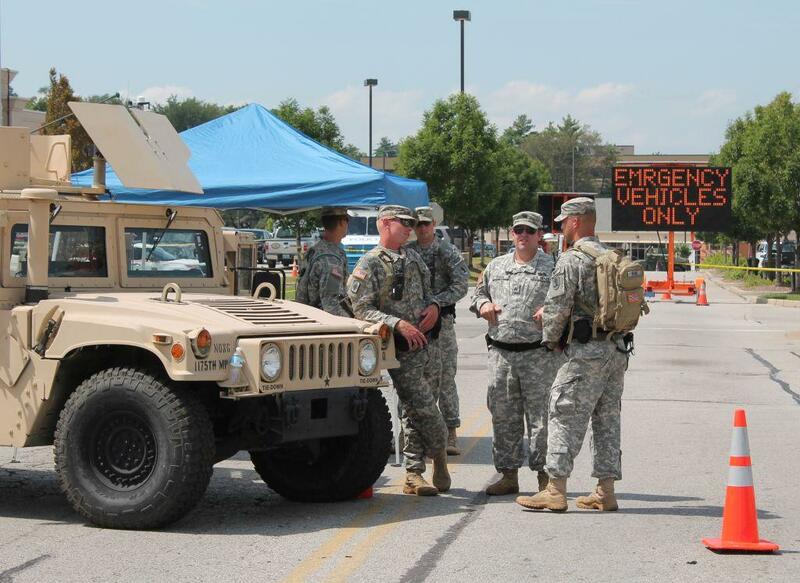 Since Aug. 18, National Guard troops have been deployed to Ferguson, guarding the police command at the Northland Shopping Center. 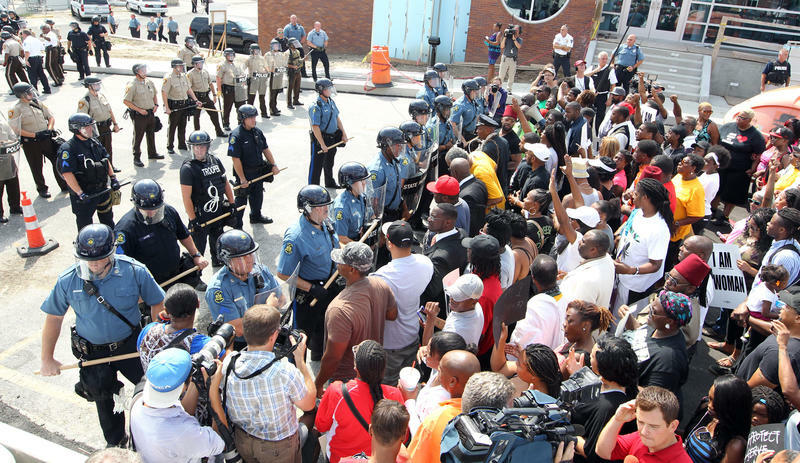 Former St. Louis Police Chief Daniel Isom said stopping the violence means allowing peaceful protests to continue ― but also cracking down on people who don't follow the rules. "Peaceful protestors want their voice to be heard," Isom said. "They want to express their frustration, and they want to keep the focus on justice for Michael Brown." Isom, who is now a professor of criminology at the University of Missouri-St. Louis, said violence just detracts from that. Even while protests are happening, Isom said cars and pedestrians need to be able to safely pass through the area and get to businesses and homes. Isom said the handful of people who have been coming out for something other than peaceful protests must be identified, asked to follow the rules ― and arrested if they don't. 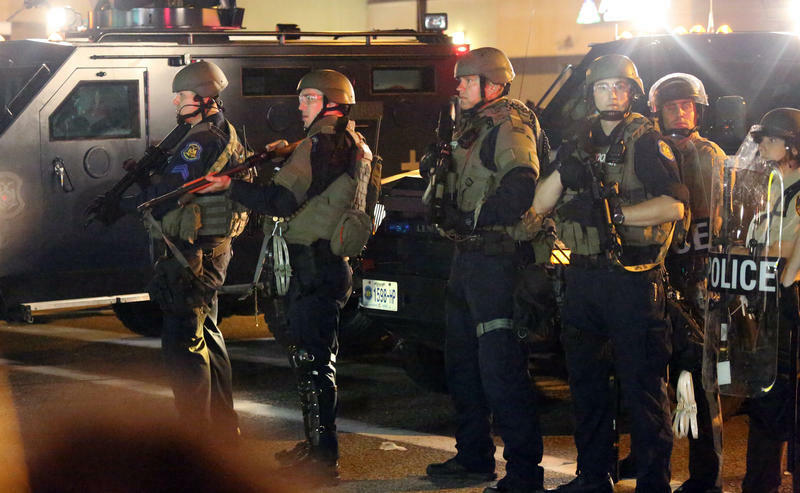 Armored cars, rubber bullets, riot shields and K-9 units have had a regular presence at demonstrations in Ferguson over the past week since a Ferguson police officer shot and killed an unarmed teenager, Michael Brown. Thursday, Gov. 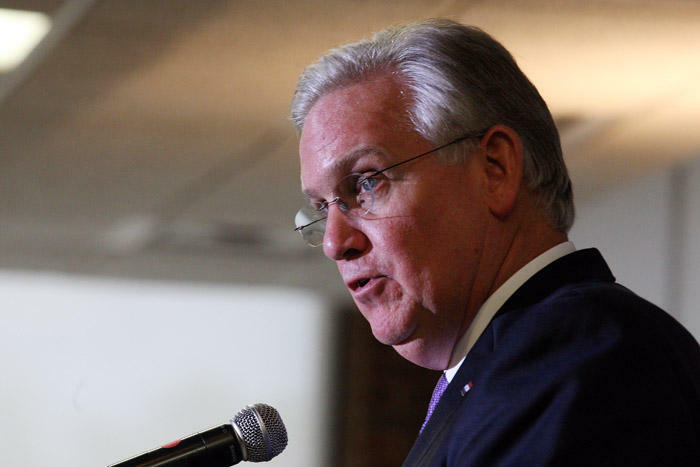 Jay Nixon put the Missouri Highway Patrol in charge in Ferguson and called for a softer tone in the police presence. Many are wondering if the police went overboard in using force against the crowds that have gathered in Ferguson every evening since Brown's death.